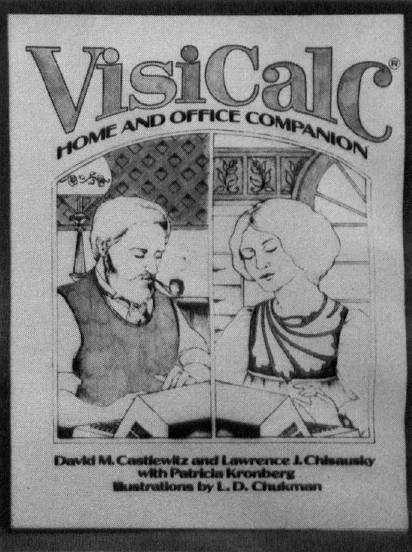 Authors David Castlewitz, Lawrence Chisauski and Patricia Kronberg have compiled a compendium of VisiCalc models in VISICALC: Home and Office Companion. Fifty ready-to-use VisiCalc models, complete with sample print-outs, descriptive narratives, and coordinate listings, are presented. Users enter their own data in place of the sample data, or substitute a label or list of entries, to tailor the models to their specific needs. Algorithms and modeling techniques provide the experienced user of VisiCalc with the opportunity to custom-design new and useful models. The models cover seven areas of application: Loans and Investments, General Business, Inventory Control, Advertising and Sales, Personnel and Departments, Personal Finance, and Household Aids. All models are designed to accomodate most computers and versions of VisiCalc. The models can be entered on SuperCalc, too. To place an order, contact the Book Order Dept., (415)548-2805.